Kids in glasses are cute as a bug, and clearer vision helps them not only see better, but also learn more and do better in school. But, let’s face it, kids aren’t easy on glasses! They can be misplaced, or need replaced, almost as fast as your growing young’uns! 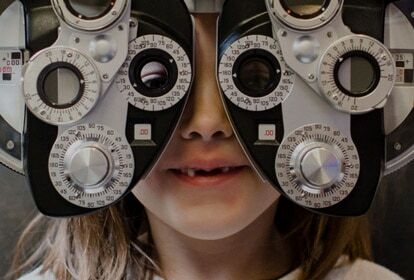 At EyeCare Specialties, we love kids. We care about your children’s vision and we want your whole family to have quality eye health care. We understand that families need a great deal without sacrificing great quality. With KidCare, kids 12 and under can get 50% off a complete pair of eyewear. Plus, KidCare comes with Warranty Plus for free. If your child’s glasses are lost or stolen, you can replace them for just 25% of the original purchase price.